It’s been about a few short months since you had the new interior paint job done and now you are noticing fingerprint smudges, furniture marks where a table has been sitting against a wall, even splatters on the kitchen walls. Your first reaction is to grab the spray cleaner and a sponge and scrub away! Not so fast! Borlodan Painting, the Atascadero painter, has some advice to help keep newly painted walls looking clean and fresh. Instead of scrubbing away with harsh cleaners and sponges, these following tips will help add years of life and freshness to your walls. Regularly dusting the walls, ceiling, corners, and window trim go a long way towards getting rid of dust, dirt, and cobwebs that can shorten the life of the paint. Every four to six weeks run a microfiber dust cloth on a long handle over the walls and ceiling. If cobwebs are a problem, dust the corners and window and door trim more often. A dust cloth wrapped around the end of a broom works well, too but be gentle because the broom bristles might scratch. Vacuuming with a soft brush also works. You don’t need to move pictures or furniture every time, but a deep and thorough cleaning a few times a year is a good idea because dust still builds up. Wiping smudges away with a soft damp cloth as soon as possible can help keep walls looking fresh. Smudges come from the combination of natural oils from hands and fingers and dust left on spaces around light switches, door handles, drawer pulls, and cabinet handles. Over time these areas just get grimier and darker. Wiping these areas at the first notice of smudges is the quickest and easiest way to remove them. Other marks should be removed as soon as possible as well. Child-height handprints can seem to appear from nowhere. Pets can contribute to smudges, and even fur, on walls, especially near food and water bowls. Oddly appearing marks near the base of walls are more common than one would think, too. 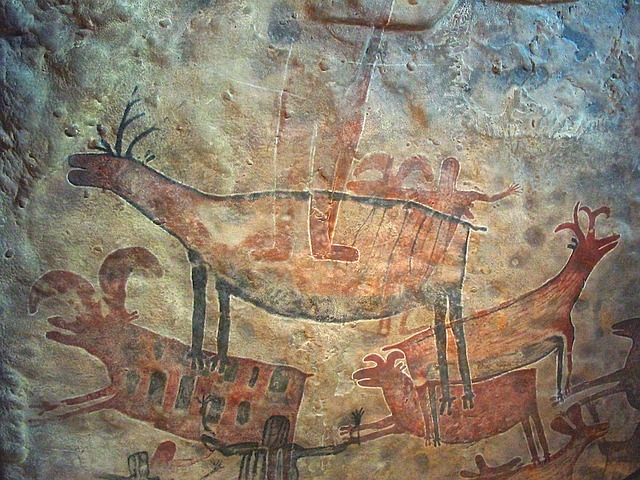 If a damp cloth doesn’t work, the Atascadero painter suggests a gentle cleaner as described in the next section. Mix a cup of borax and two tablespoons of dishwashing liquid in a gallon of warm water. Mix a cup of ammonia and one teaspoon of dishwashing liquid in a gallon of water. Test the walls before cleaning. If the paint comes off on the sponge, don’t wash it. Don’t use trisodium phosphate (TSP) unless you are preparing to repaint because it might remove the paint. Save paint left over from the original paint job to touch up any damage. Touch up any damage as soon as possible. If you didn’t save the leftover paint, or if it has been a while, you can slice off a thin section of paint with a utility knife and have the color matched at a paint store. Keep an eye on high-use spots mentioned earlier: light switches, door handles, cabinets, window trim, pet areas and children’s rooms and clean or touch-up any marks, scratches or damage as soon as possible. If you have any questions about cleaning solutions or techniques, paint matching, or even storing extra paint, call Borlodan Painting for expert advice. The company has been serving the California Central Coast since 2005 and has done the research to determine what brands of paint will best serve for beauty and durability. Call Borlodan Painting today for advice, an estimate, or to hire them for your painting job. 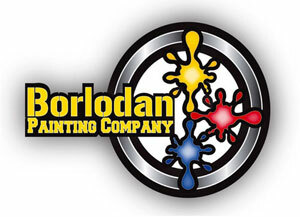 Call Borlodan Painting today for advice, an estimate, or to hire them for your painting job.